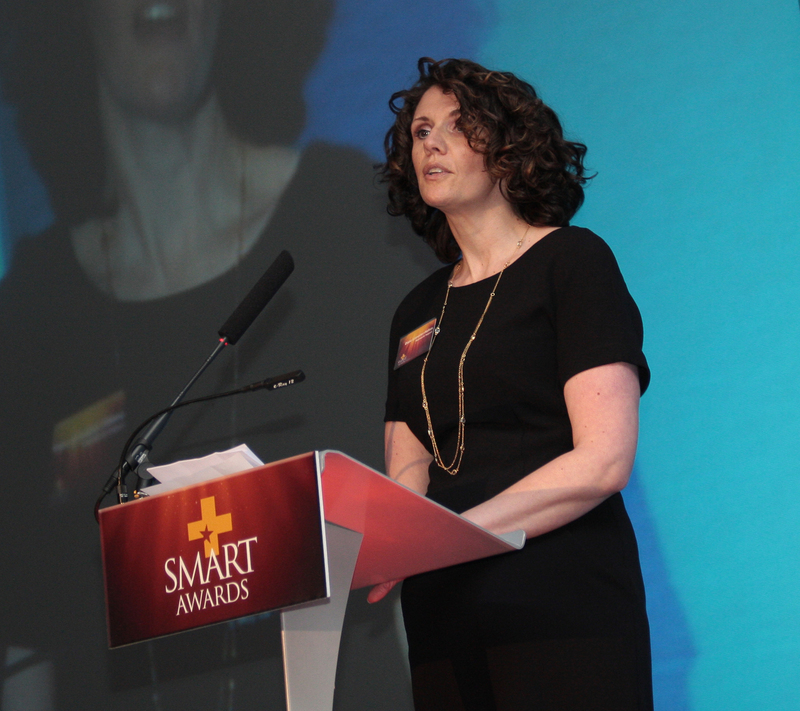 On the 12th February Pharmacist Support joined senior representatives from the pharmacy community for the 2015 SMART Awards in Birmingham where we were delighted to be recognised as the Award’s nominated charity. Representing the charity on the night was Chief Executive Diane Leicester-Hallam who spoke to the 250+ attendees about our work in helping pharmacists and their families, former pharmacists and pharmacy students face life changing events. By the end of the evening, an impressive £1300 was raised, with a number of additional pledges still to follow. The event recognises and rewards innovative training initiatives and sales and marketing support programmes that have been developed for community pharmacy. The charity would like thank event organisers – Communications International Group (CIG) – publishers of a number of healthcare titles including Pharmacy Magazine, P3 and Independent Community Pharmacist – and in particular Paul Fenton, Richard Thomas and Simon Greenbury for their support in making the evening a success and for the generous donation of three Kindle Fire tablets for the donor prize draw.